Red hair is stunning, but sometimes changing up an aesthetic calls for a new hair color or highlights. Just keep in mind that, even though the difference between the shade you have and the lighter shade of red you want can determine whether the change can be made at home or if a salon appointment is necessary, there are a number of at-home options. For redheads with color-treated hair, color correcting can be used to lighten hair at home. To gradually lighten, use a fading shampoo, which will slowly remove the color from dyed hair. The more times hair is shampooed, the lighter it will become. 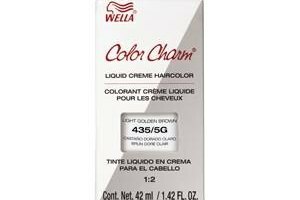 This works best on semi-permanent hair color. If you've used permanent hair color or salon-quality dye, use a remover product like L'Oréal Paris Colorist Secrets Haircolor Remover. Though your locks will not return to their natural shade, hair will be ready for immediate recoloring. This option allows for a completely different color or lighter shade to replace the red hair. Apart from bleaching and dyeing hair a new color, there are all-natural, at-home solutions for lightening red hair. The darker the tone, the longer natural solutions will take to lighten strands. Texture can also affect the results of natural lightening with fine hair showing the best results. The well-known go-to is lemons. To safely use lemon juice, dilute in equal parts with water or add to conditioner. This will ensure that the acidity of the lemons does not burn hair. Lemons tend to bring out natural lighter tones such as a lighter blonde or brown rather than red undertones. Raw apple cider vinegar can be used the same way to bring out red undertones. Be sure to wash out the solution after about 30 minutes. Hydrogen peroxide is another option. Diluted with water as well, this solution should be left on for a shorter period of time, between 15 and 20 minutes, because peroxide lightens faster without drying out the hair as bleach does. Apply each of these with a spray bottle or cotton balls for streaks of highlights. Solutions that take longer to have an effect include honey and olive oil combined in equal parts, which must rest for up to one hour, or cinnamon mixed with conditioner, which must be left in for three to four hours or even slept in overnight. Both of these solutions will leave hair conditioned and softer. Cinnamon can even act as a natural sunscreen for harmful UV rays. For dramatic changes, a professional can provide the best insight. If you're going from red hair to blonde, several appointments may be necessary to achieve the desired shade and tone. With a range of professional tools and products, color stylists can best assess what is attainable and help suggest the least-harmful path to light hair. Once hair is color-treated, protect it and give it longevity by switching to a shampoo, conditioner and hair mask formulated for dyed hair. Allowing locks to air-dry will also preserve color. Remember to apply a UV filter to prevent the sun from lightening the achieved salon shade.